← Tales from the past: Delhi- Tomars to Chauhans,the handover. It is a book, simply a book. No, maybe I went a bit wrong there. It is indeed a book but is not so simple. It is a collectors’ item which is camouflaged as a coffee table book. Jokes apart, the book weighs 4kgs and has innumerable pictures, which are documented from the rarest of rare collections of many royal families in India, Cartier-The famous French jewelry company which catered to many Indian royalties to design their jewelry pieces, and many museums which had opened their archives for this book to take shape. 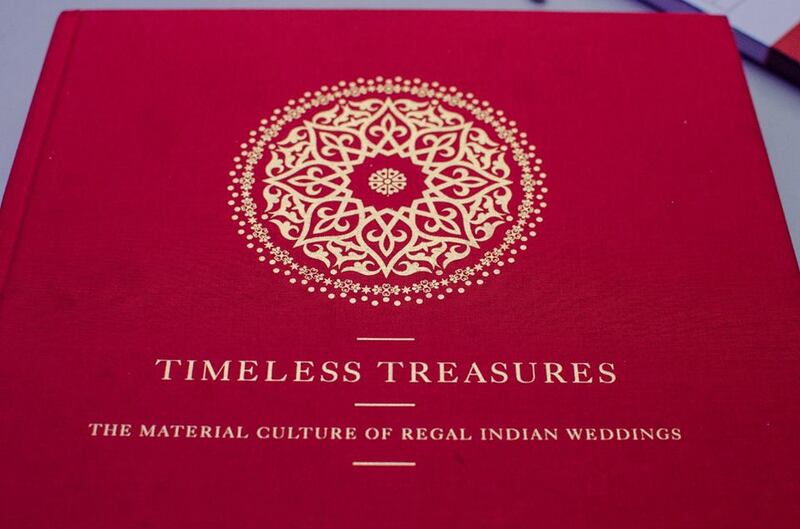 The book Timeless Treasures, is a detailed historical documentation of many Indian Royal weddings dating back to the time of Dara Sikoh. The timeline ends at the destination weddings of today. The stories are amazingly descriptive and the pictures are a class apart as they have deep history hidden behind each frame. The royal families of Kapurthala, Patiala, Navanagar, Mysore, Sirohi, Hyderabad, Kashmir and many such kingdoms to name a few, which celebrated weddings with all the pomp and show that Indian weddings are famous for, can be seen in the photographs with their precious jewels on display. A blatant show of wealth? Yes, may be, but the documented history is also a reminder of how wealthy our princely states were. A wedding is always a humongous affair in India, with no frills left untouched or unattended. History has shown us our preference for the opulence and splendor of weddings which has taken us to theme weddings and destination weddings that are preferred by Indian families nowadays, dates back to our Purana and even stories from our mythology. Pages after pages bear the proof of what our culture was, once upon a time. How fashionable our royal families were, to say very less about the beautiful women who took up their positions of command at the royal households. There was a time when Cartier’s most prized clienteles were from India or related to India. 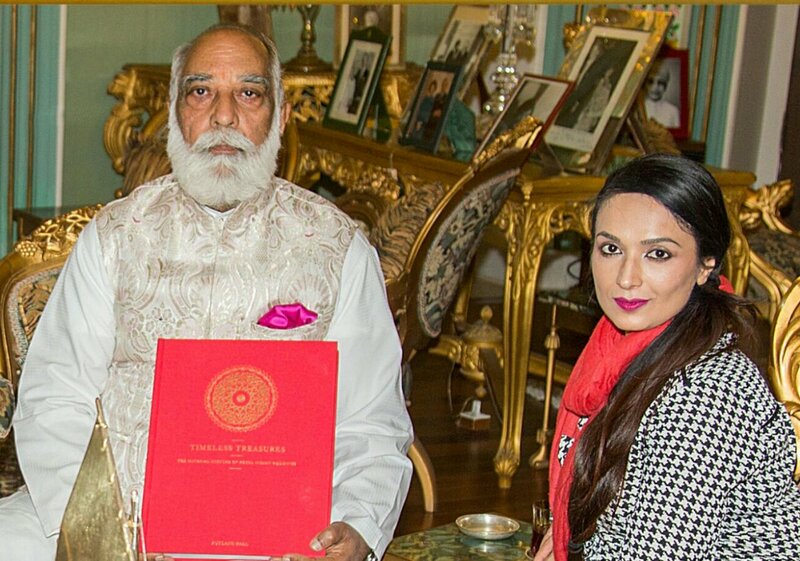 The highly visual large-format publication comprises unique pictures and stories of weddings in the royal families across India from the late 19th century to the present day. It is a thoroughly researched historical account of the Maharajas’ weddings, illustrated with rare or never-before-seen archival images. Deepika is a historian and curator who came across these priceless pictures while researching at the Mehrangar Fort in Jodhpur. Through her years of study and documentation, she developed close ties with the royal families in India, and used her friends and connections to archive the stories on royal weddings. 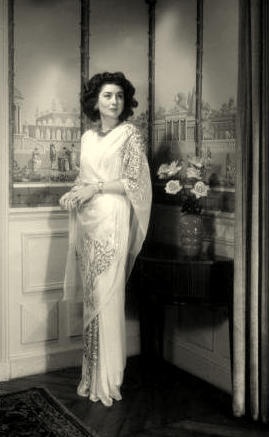 Princess Nilofar Farhat of Hyderabad , year 1948, a celebrated beauty of the last of the Ottoman princess, had married the youngest son of Nizam of Hyderabad in Nice. She was seen displaying some adorable jewels in one of the precious photographs. 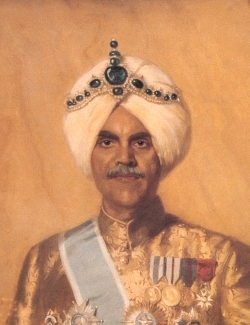 Documents and photographs of Maharaja of Kapurthala and Patiala, who had noted jewelry pieces custom-made for the weddings, by famous jewelry houses like Cartier’s-Paris. There are detailed descriptions with photographs of Hindu marriages and its history dating back to the time of Vedas. How the system had evolved from Manusmriti and was called Kalivarjya, before it gave way to what we see as modern day wedding scenario of today’s marriages is all written in intensive research oriented work. There is one interesting photograph of Seherabandi ceremony of Prince Dara Sikoh before his wedding in 1633. Illustrated folio from ‘Padshahnama’ shows Emperor Shah Jehan tying a pearl ‘sehra’ around his son’s forehead. Interestingly this very custom was later adopted by Sikhs, Hindus and Muslims in their marriages across North India. There are detailed analogies of Islamic Marriages and some explanations of old rituals followed by the womenfolk in the marriages of all communities. Then there is the story of Princess Durru Sehvar…. Princess Begum Sahiba Khadija Hayriya Aisha Durru Shehvar (Ottoman Turkish: Turkish: Hatice Hayriye Ayşe Dürrüşehvar Sultan; 26 January 1914 – 7 February 2006) was the daughter of Abdülmecid II of the Ottoman dynasty, who was the last heir apparent to the Imperial Ottoman throne and the last Caliph of the Muslim world. She held the titles of Princess of Berar through marriage, and Imperial Princess of the Ottoman Empire by birth before the monarchy’s abolition in 1922. Upon the family’s exile to France in 1924, she was sought by the Shah of Persia and King Fuad I of Egypt as a bride for their respective heirs, Mohammed Reza Pahlavi and Farouk, and by Prince Azam Jah (1907–1970), the eldest son and heir of the last Nizam of Hyderabad State, Osman Ali Khan, Asif Jah VII, whom she married in Nice, France, on 12 November 1931. Her first cousin Princess Niloufer, was married to Prince Moazzam Jah, the second son of the Nizam. The marriage of the Princess was performed, in the south of France, by the good offices of Maulana Shaukat Ali, brother of Maulana Muhammad Ali Johar, the leader of the Khilafat Movement in India. Princess Durru Shehvar was 17 at the time, and significantly taller than her husband of 24 years, Azam Jah. Her father-in-law, the Nizam, loved pointing out how much taller she was than his son, at their parties. In those days of conservative thoughts, Princess Durru Shehvar transformed the way how the Muslim Princesses presented themselves in public in India. She was known for her social work and became the icon of female rights. With her beauty and grace, she was also considered to be a diva in fashion and style. Stories like these adorn the pages of this book as the royalties were all woven together in the strings of fashion and jewelry because of their love for clothes and ornaments with good living. Rutland Hall , is a London based publisher with Ungelie Patel, Andy Verma and Kamaljit Singh as their directors. Andy Verma: Is a renowned Celebrity Chef and the founder member of the famous Vama & Chakra restaurant in Central London. For this book, he had provided the wealth of information from his personal interactions with his regal clientele in India and abroad. Ungelie Patel: Director of Maia, an event management company with their own special clientele in India and abroad. Her clients had had the privilege of her planning the theme and destination weddings in their families, which had impressed many. Kamaljit Singh: Kamaljit Singh has over twenty years of experience as Finance Director at Harper Collins Publishers. He currently advises several publishing houses on strategy, business development and financial management. He is also a member of the Institute of Chartered Accountants in England and Wales and The Independent Publishers Guild. He brings his experience of the publishing projects to Rutland Hall. 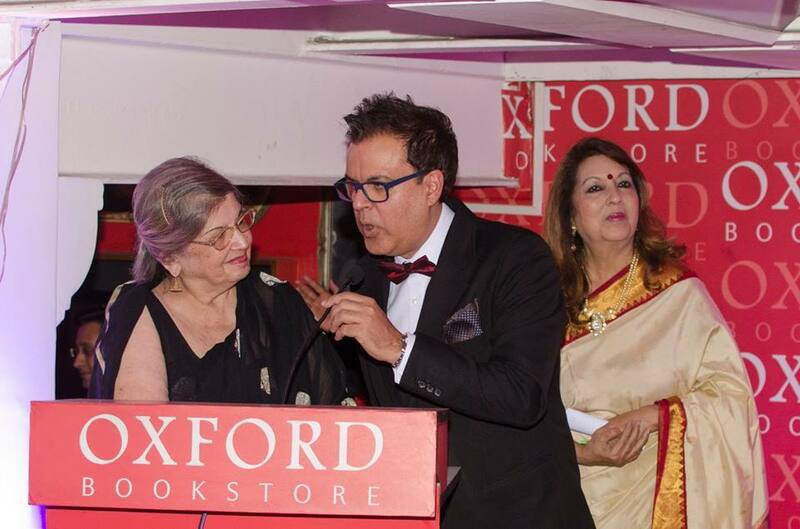 The book Timeless Treasures was launched in Delhi and Kolkata. 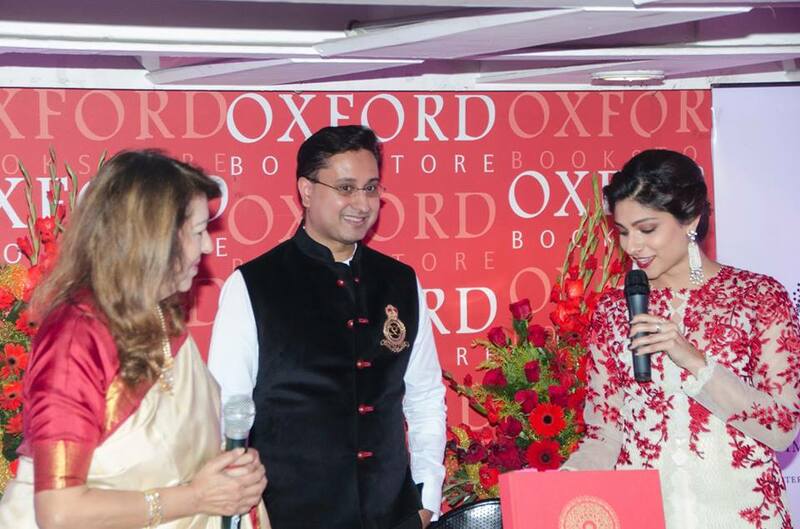 This book is marketed & distributed by the Oxford Book Store, the heritage book store and a much-loved venue for Kolkata’s book loving milieu. 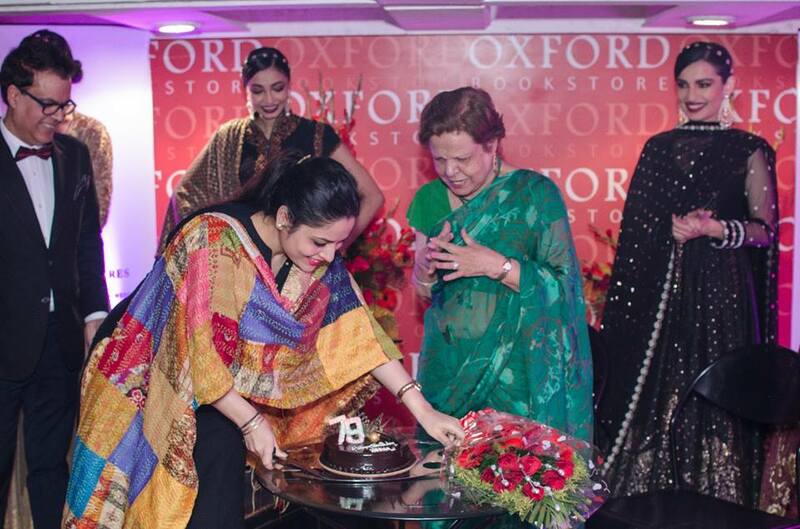 The event was jointly hosted by The Park and Oxford Book store. 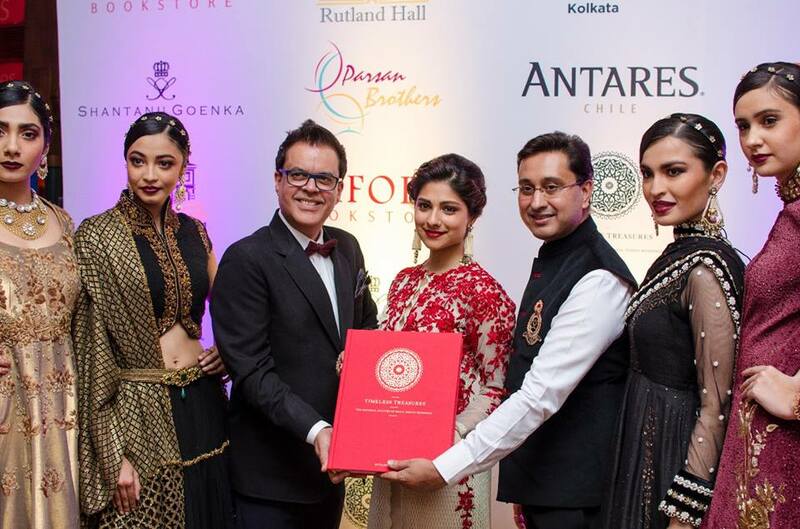 The heady mixture of books, discussions, mouth-watering savories and a beautiful fashion show by Shantanu Goenka displaying traditional Indian designs just filled the evening with pleasure. The book was at display and we all got a sneak preview of it. The event had The Park as it’s hospitality partner and of course there were wonderful savories for all the guests along with mock-tails & cocktails. But what mostly mattered was the ambiance. It was the book which had left a splendorous effect on us all. My date with the book ended with an exploration of some of the pages of this wondrous effort. It is the history that leaves a deep after affect in the reader’s mind. Those who are major event planners and have an intense interest in history, this a must-add to their collection. A treasure to behold. This entry was posted in Amazing Bengal, Cuisine & Culture and tagged Book review, Cartiers, destination weddings, fashion, Gems, jewelry, Publishers, Royal Families, Rutland Hall, Timeless Treasures, wedding. Bookmark the permalink.